Conference is just around the corner and we want to give you the most up to date information. Conference registration will be located inside of Horner Hall at the Hot Springs Convention Center. The ArSCA booth, silent auction and photo booth will also be located inside Horner Hall. Proceeds from this year’s silent auction and photo booth donations will go to Ronald McDonald House. We have over 400 attendees registered and this year we would like for you to be able to recognize other counselors from your region. We will have stickers at the ArSCA booth that you may place on your name tag to show the region that you represent. Mary Meacham with Safe Talk will be able to provide a 4 hour training for 20 participants through a grant. 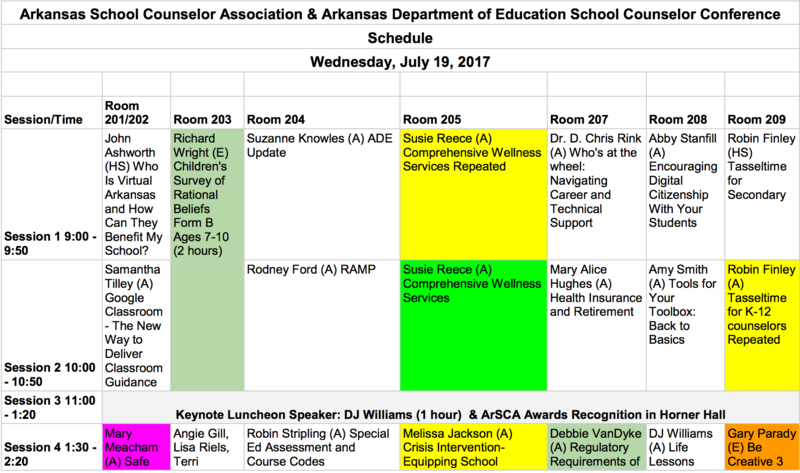 If you wish to attend her session, please sign up at the ArSCA booth Wednesday morning. 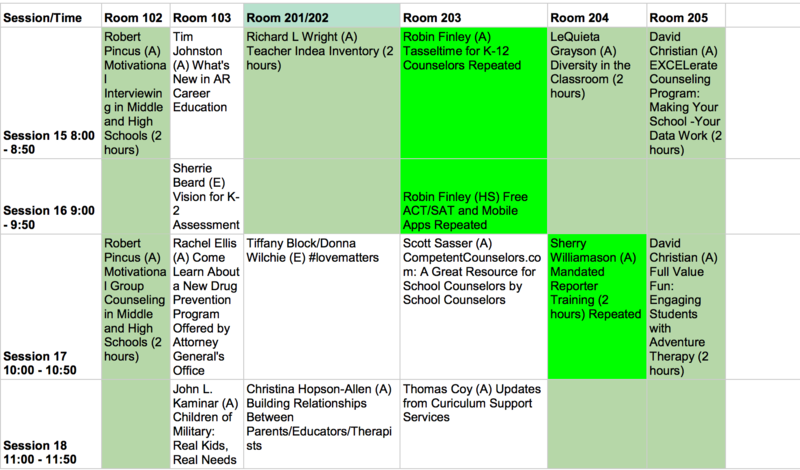 Her session will be in room 201/202 beginning at 1:30 and ending at 5:50. You will be given the break time from 3:30 -4:00. We have 39 vendors signed up to attend our conference this year. Vendors will be in the Grand Lobby and Plaza Lobby areas. 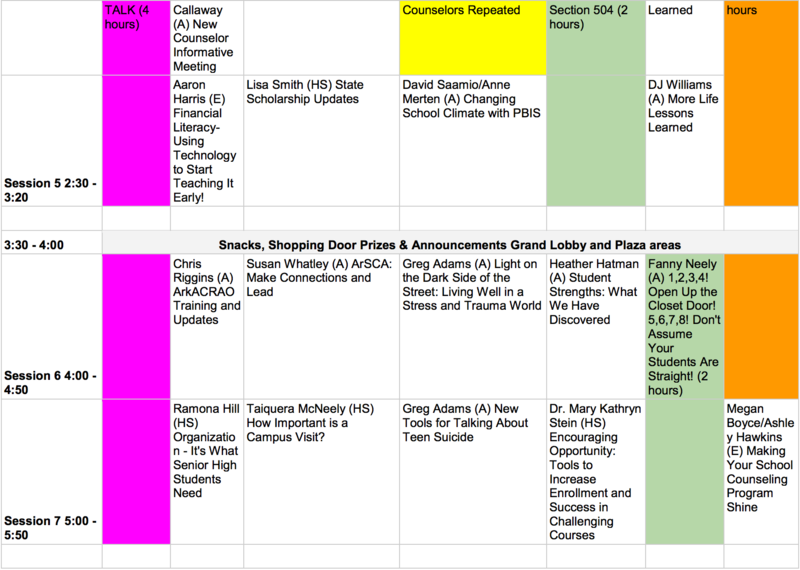 Be sure to get your conference scavenger hunt sheet completed by all vendors to be eligible for the Grand Prize. 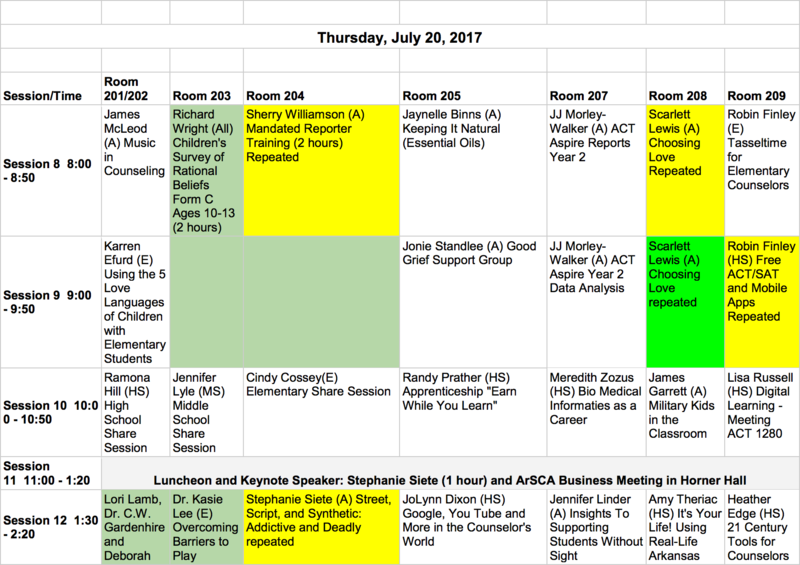 Participants will need to turn in a completed sheet by 4:20 on Thursday at the ArSCA booth. A winner will be drawn from the completed forms on Thursday afternoon during the break at 4:20. HeartBridge Learning Center would like to give you a gift. To qualify(by having fun) you must recite the following quote by Aristotle at their booth. “Educating the mind without educating the heart is not education at all” We are excited to have you attending conference this year. We really want your input about location, session topics, etc. 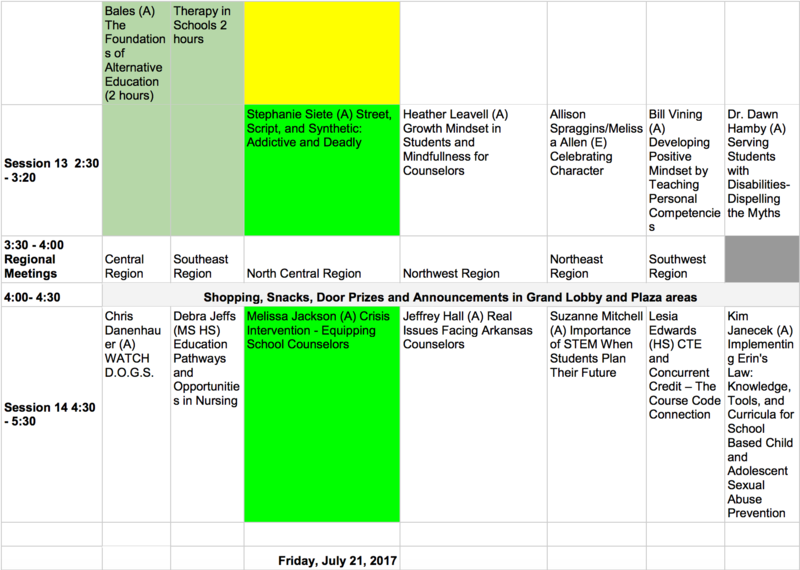 Please plan to download the conference tracker app again this year to complete evaluations and to keep track of your sessions.